In the bowl of a stand mixer fitted with the paddle attachment, beat the butter, sugars, salt, zest, and vanilla together on medium speed until light and fluffy, about 3 or 4 minutes. Scrape down the sides of the bowl and add the egg, beating well to incorporate. 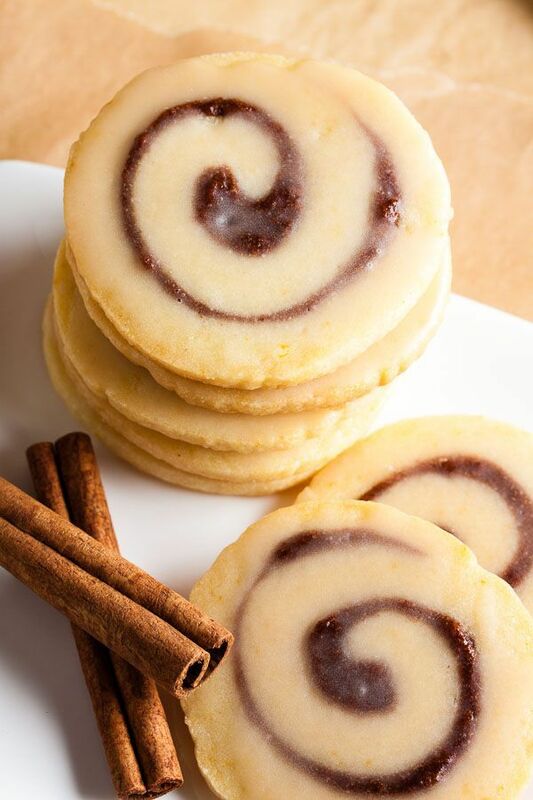 On a sheet of wax or parchment paper (whatever your preference), roll the dough out to approximately 12″ square (or more if you want to get more spirals – see my comment above). When it comes time to roll into a log, the paper makes it easier to lift the edge and handle the dough.